Dumbledore had the most liked content! Harry Potter: Wizards Unite is a location-based adventure from Niantic, the creators of Pokémon Go. (Image: NIANTIC) - “Magic at Large.” Over a year of teasing Niantic has finally told fans what they can expect from Harry Potter: Wizards Unite. NOTE: Players in specific regions can access a Harry Potter: Wizards Unite beta. Right now, there is a Harry Potter Wizards Unite beta available to download, but only in New Zealand. (we'll be updating this post when more countries are added) To access the Harry Potter Wizards Unite beta, you need to be in New Zealand (for now). Simply visit the Google Play or App Store on Android and iPhone respectively, and search for it in the store. 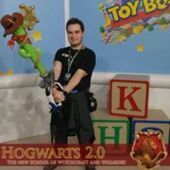 Apple App Store: https://itunes.apple.com/nz/app/harry-potter-wizards-unite/id1452352832?mt=8 Play Store: https://play.google.com/store/apps/details?id=com.nianticlabs.hpwu.prod Note: If you pre-register, you may get an invite to early access program for this game Harry Potter: Wizards Unite is an upcoming augmented reality (AR) real-world game inspired by the Wizarding World that puts the magic in the hands of players worldwide. Co-developed and co-published by Niantic, Inc. and WB Games San Francisco, Harry Potter: Wizards Unite is part of Portkey Games, the games label dedicated to creating new Wizarding World mobile and video game experiences inspired by J.K. Rowling’s original stories that place the player at the center of their own adventure. PLAY YOUR PART IN THE WIZARDING WORLD A calamity has befallen the wizarding world, causing Foundables—magical artefacts, creatures, people, and even memories—to mysteriously appear in the Muggle world. As a new recruit of the Statute of Secrecy Task Force, you’ll work with witches and wizards from across the globe to solve the mystery of The Calamity and keep magic safe from Muggle eyes. THE MAGIC IS ALL AROUND YOU As you step outside and explore the world, the Map will reveal Traces of magic that indicate the location of Foundables. These Traces are found at various real-world locations and trigger richly detailed 3D encounters in full 360-degree advanced AR. You’ll need to cast a variety of spells to defeat the confounding magic surrounding the Foundables in order to safely return them to the wizarding world. Keep an eye out for other things that will aid you on your journey including Inns that replenish Spell Energy, ingredients that can be used to brew potions, and even Portkeys that can whisk you away to a variety of wizarding world locations. STRONGER UNITED Gather your friends to take on even bigger magical feats such as Wizarding Challenges, real-time cooperative multiplayer battles against dangerous foes. To overcome the stronger threats and discover rarer Foundables, you’ll need to team up and strategize with your fellow witches and wizards and specialize in different magical Professions—Auror, Magizoologist, and Professor—that each have their own unique skills and abilities that come in handy at different times. The Wizarding World needs your help! Ready your wand, alert your friends, and stay tuned for more at WizardsUnite.com. Harry Potter: Wizards Unite release date is sometime in 2019 Basic world screen Collectables. You get something that fills a slot here from most of wild encounters Name filter appears pretty soft. Port keys are like eggs from pgo, potions and professions are level locked. Vault are you items (like health potions) registry where your collectables go Karjalan - Reddit User Some screen shots from the game, Vorici - Reddit User With a Harry Potter Wizards Unite beta, expect a slow region-by-region roll out, just like with Pokémon Go. "Now, Harry you must know all about Muggles, tell me, what exactly is the function of a rubber duck?" Hi @Jahnavi Haloi 15! As above, welcome to the community, as you can see we haven't been open that long but we're gaining new members every day. 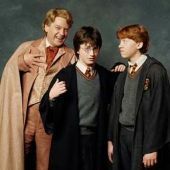 Remember to post a little about your self, what got you into Harry Potter. There's other topics to get involved with too! Weasleys' Wizard Wheezes - Deals on Harry Potter merchandise! In this area we'll be posting deals that we find on Harry Potter merchandise, equally if you find a deal why not share it with the community!